Edward is the Global President of 3AWorldwide, an international advertising, public relations and digital marketing agency recently ranked 175th on the prestigious Inc 500 list. He began his career at General Electric (GE), but his passion for marketing then led him to work for group publisher IPG, which licensed Newsweek, Vogue, Glamour, Discover, Men’s Fitness, Prevention, Teen, & Architectural Digest – US Hispanic/ Latin America. Constantly cultivating new partnerships, in November of 2013 Edward tapped into the realm of fashion and became the official publicist for Miami Fashion Week. His drive to expand his reach and desire to deliver global information to educate others also led him to become the Vice President of Forbes Americas in 2013 when he purchased the Forbes Latin America Magazine License and rights to publish Central America and Caribbean editions of the highly acclaimed international magazine. In addition Edward has been able to obtain exclusive media agreements with E! Entertainment Television Mexico, Robb Report Mexico, Boat International Brazil, The Travel Curator, Times Santo Domingo, Shine Magazine, Forbes Argentina, Newsweek Argentina, Lonely Planet Argentina, Golf Digest Argentina, and Alta from Aerolineas Argentina. Edward is also currently the owner of Toy Box Luxury Rentals. Toy Box Luxury Rentals is a concierge company located inside the Marina of Casa de Campo, Dominican Republic. The company’s services include villa, yacht, jet, and daily fun-in-the-sun rentals. Toy Box concierge services allow for you, your family, friends or, clients to plan curated travel itineraries within Casa de Campo or, Punta Cana, Bayhibe, Samana, Santiago, and Cabarete. Yacht rental services include the finest brands in the industry, such as Ferretti, Riva, Pershing, Azimut, Tiara, Intrepid, and Sun Seeker. The companies privileged jet & helicopter services are partnered with Quintessentially aviation and have the highest standard of safety in the country. 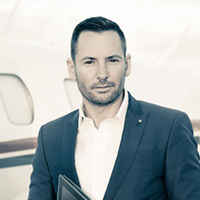 Recently Edward has been published in Forbes Latin America as the go to luxury marketing visionary and has received numerous awards including Top Hispanic Award from Hispanic Target Magazine, Business Leader’s award for Top 300 Business in the Southern United States and Top 50 Entrepreneur. Other honors include being named Top Innovator of South Florida by the Sun Post, Top 50 fastest growing companies by South Florida Business Journal and Best PR Agency in Central & South America, Mexico by the International Stevie Business Awards.